Digital has transformed the way people do banking. No more standing in long lines to deposit or withdraw money, no more filling out paperwork – everything you need to do for your finances can be done with just a few clicks. With the rise of digital, banks need to stay abreast of their strategies to provide a smooth experience for their clients and accommodate their needs. That’s where our digital marketing for banks fit in. Strategies that put your banking institution on the first page of search results. Well-designed websites that put premium on user-experience. Ads created to drive the most number of conversions for your financial services. A comprehensive plan of action to provide positive branding for your online reputation. A majority of today’s users turn to search engines to do online transactions. To provide them the convenience they’re looking for as they go about their transactions, your website should appear on the first page of search results – not on the second, and definitely not on the third or fourth page. The higher you place on search results, the more leads will see your brand, the more opportunities to convert them into clients. This is the power of a well-executed SEO for banking and financial services. Our SEO services for banks provide you with growth strategies that will ramp up your online presence. 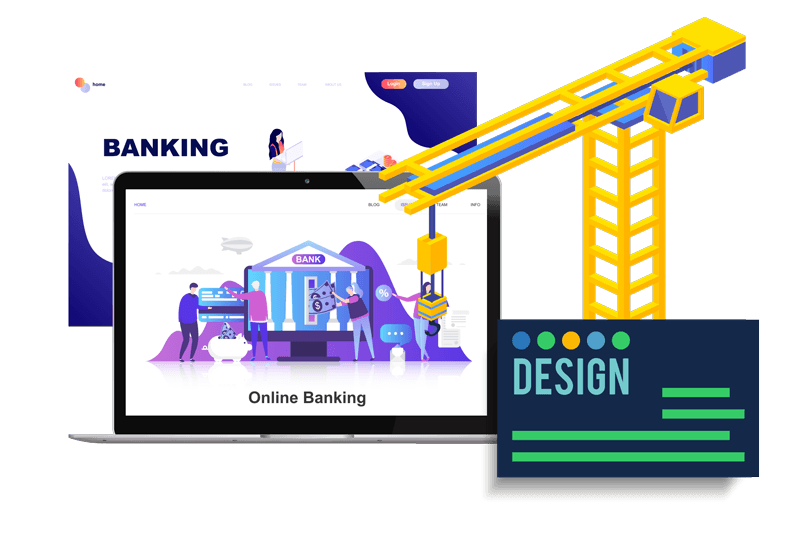 Your bank’s website design can have an overall impact on the experience of every user. 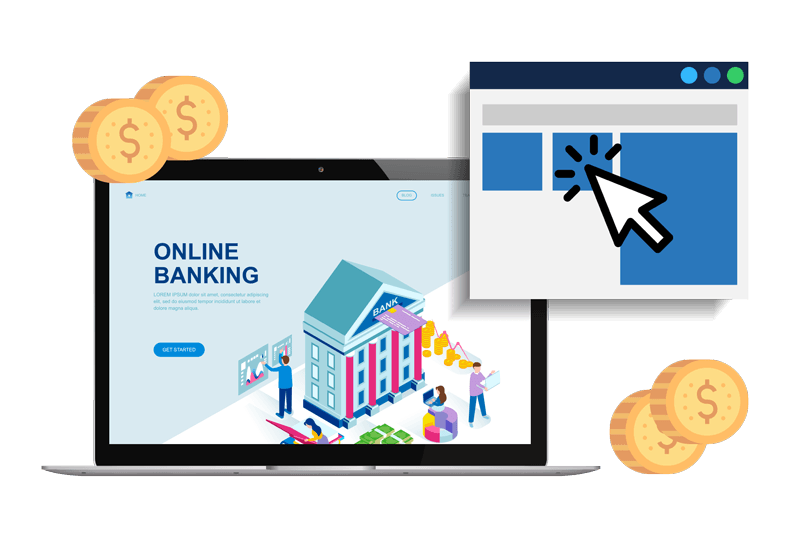 With the attention span of users becoming shorter and the need for convenient browsing growing, a cluttered website is the last thing you want for your bank. Our web design for banks and financial institutions provide the right balance between form and function. We build your bank’s website to provide your clients with a secure, easy access to their financial transactions. Our team of graphic designers and website developers ensure every detail of your site reflects the personality of your brand. A comprehensive digital marketing strategy for banks leverages different types of channels to get the most returns. While SEO lets you dominate the organic real estate, PPC for banks allow you to get instant traffic to your website. Our years of experience in running PPC campaigns for financial services have leverage to know what works best for every client. 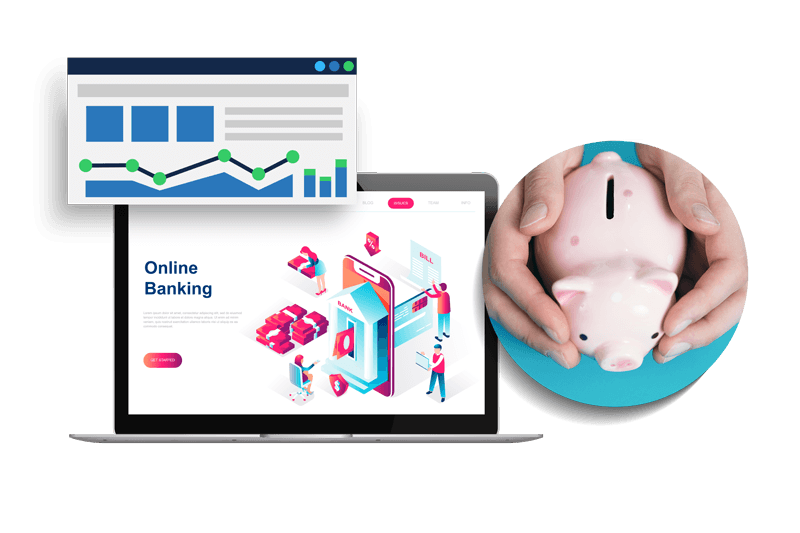 Your campaign will be in the capable hands of our certified Google Ads specialists who have accumulated years of experience when it comes to running PPC for banks and financial institutions locally and globally. Why Get PPC for Banks? When it comes to social media, banking and financial institutions are not blind to the power of this as a marketing channel. However, social media marketing goes beyond getting likes, shares, and comments from your target audience. A well-executed social media strategy can help your bank rise above the online chatter and put you right in front of your potential clients. 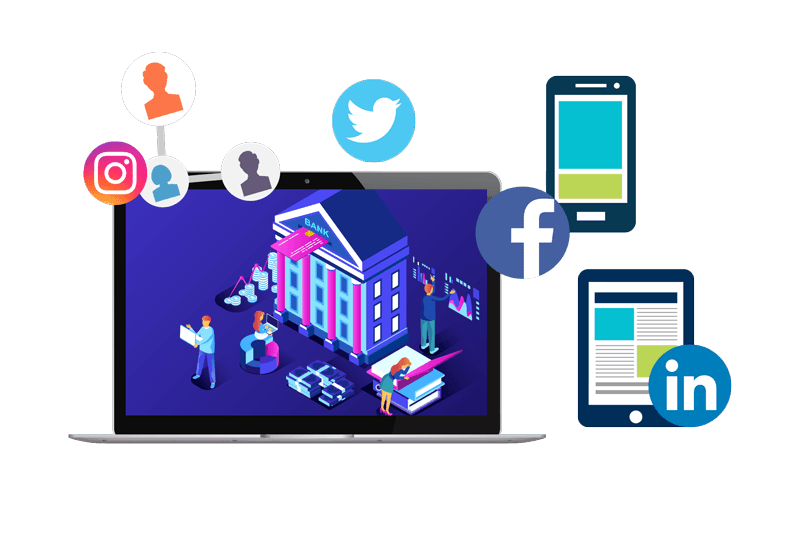 As part of our strategy in social media for banks and financial institutions, we begin by doing an extensive audit of your profile to ensure it reflects your brand. We’ll look into every detail on your social profile to better optimize it for your business and target audience. The Philippines has a large market in the banking and financing industry, but why stop there? Extend your brand’s reach anywhere in the world with our social media solutions developed and executed by our experts. Ready to dominate the digital landscape?